What could be more punk rock than a band that never changed, a band that for decades punched out three-minute powerhouses in the style that made them famous? The Ramones repetition and attitude inspired a genre, and Ramones set its tone. Nicholas Rombes examines punk history, with the recording of Ramones at its core, in this inspiring and thoroughly researched justification of his obsession with the album. Wanting to make new, challenging music and not pander to the expectations set by the mega mainstream success of 1991's Nevermind Nirvana recorded their most developed, compelling, and heavy effort, In Utero. Fuelled by Kurt Cobain's artistic vision and battle with inner demons it would be their final studio album, whose content gained new dark resonance with Cobain's suicide less than a year later. Here, Gillian G. Gaar looks at the development of this landmark rock album. She examines each track of the album; their development, reworking, and the involvement of prolific punk producer Steve Albini. Ben Rameaka performs the exploration in a solid, engaging, but unsentimental tone, painting a vivid picture of the band's energy, techniques, and imagery. The record was replete with references to babies, childbirth, and reproduction (the album's very title means "in the womb"), witch hunts, the loss of privacy, illness and disease, and ambivalence about fame. The songs expressed a heartfelt anguish that would later cause some to interpret the entire album as a cry for help, but even at the time of its release In Utero could easily be read as an album focused on physical and spiritual sickness. Rather than being overwhelmed by circumstances, however, Cobain's songs on In Utero show him - for the most part - still able and willing to fight back. As such, among Nirvana's recorded efforts, it stands as Cobain's most personal work. Instead of sticking to the "grunge pop" formula that made Nevermind so palatable to the mainstream, with In Utero Nirvana chose instead to challenge their audience, producing an album that truly matched Kurt Cobain's vision of what he had always wanted the band to sound like. Gillian G. Gaar is the author of She's a Rebel: The History of Women in Rock'n'Roll and Rebels With a Cause: The Story of Green Day. She served as project consultant on the Nirvana box set With the Lights Out, and was an editorial assistant on Krist Noveselic's book Of Grunge and Government: Let's Fix This Broken Democracy. ©2006 Gillian G. Gaar (P)2008 Audible, Inc. 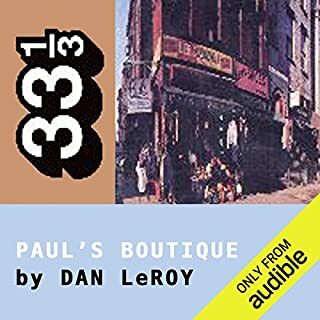 The 33 1/3 series is known for deconstructing classic albums, and being a huge Nirvana fan I was excited to see a volume released on In Utero. The book tells the story of the recording of the album, and highlights the behind the scenes info that you may not have known about. 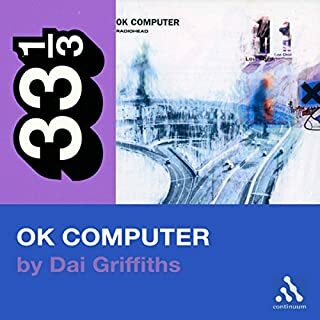 I especially love this book in the audio format because having it on my Zune was so convenient because when it was over I was easily able to go listen to the album. I wanted to go listen to the album! 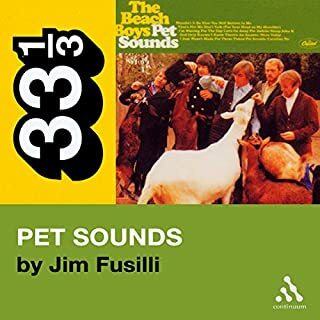 The narrator tells the stories well, my only sticking point is that he can sometimes go over the top with the voices of the various producers he speaks about. 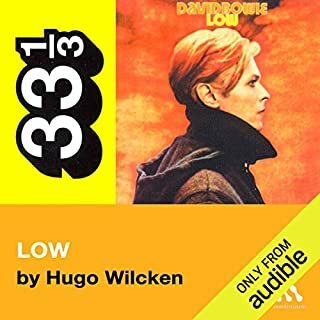 Also, for this particular volume, I would recommend that you're familiar with the box set "With the Lights Out" as it is referenced numerous times. (If you don't have it, you might think of this book as a great ad for it!) 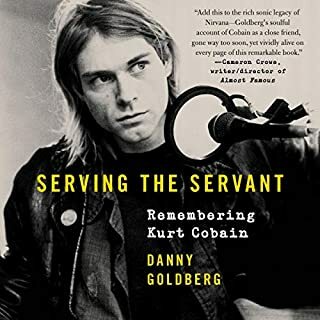 As a Nirvana fan I recommend this book, and as a music fan, I'm looking forward to check out the other 33 1/3 volumes Audible offers. Every Nirvana fan should read! 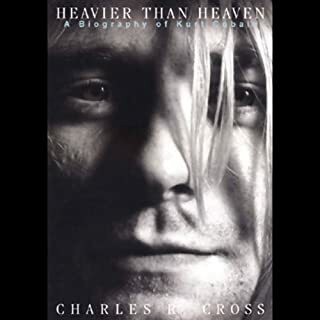 A wonderfully detailed book every Nirvana fan will devour! I would love to see similar selections on the band’s entire catalogue!